Today I have been scouting for new trap locations. 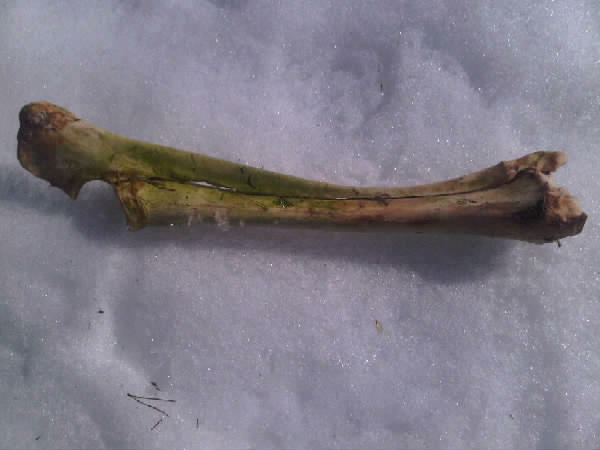 Not much to report other than that I found this bone of moose. It is actually two bones, fused into one. I don’t know which is which, but one is ulna and one is radius. This one is falling a bit apart, but when sharpened it’s my favourite tool for graining and membraning skins. The radius is the larger and longer of the two in a human.